Marcel the Shell is back, but this time in book form — all thanks to the genius minds of Dean Fleischer-Camp and (one of our personal favorites) Jenny Slate. It’s called Marcel the Shell: The Most Surprised I’ve Ever Been, and we couldn’t be more excited to flip through it when it hits the shelves Oct. 21. To express just how excited we are about this new release, we decided to round up the best quotes from Marcel the Shell. Yeah, stop trying so hard. Bug, friend, it’s all the same: Bum a ride, and you have to accept that you’ll have to tag along for every single errand. Upload this GIF into a digital photo album, put it on your desk and look at it every day. Do it. Now. Do something wild every once in a while. And hey, if that includes Doritos, then even better. Excited yet? 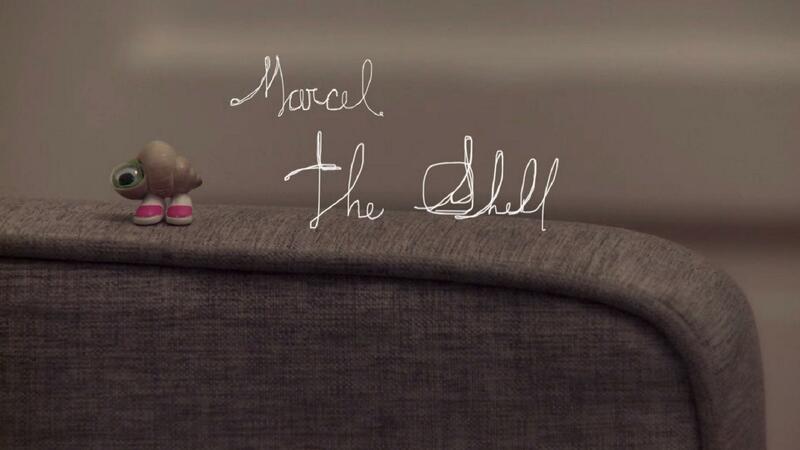 Don’t forget to pick up Marcel the Shell: The Most Surprised I’ve Ever Been Tues, Oct. 21.